Want the inside track to knowing what makes someone tick? Watch the food and drinks they prepare and how they make them. The same can be said about cookbook authors: The recipes an author creates or collects show what the writer truly cares about. It highlights their curiosity, emotions, humanity and history. As such, cookbooks reveal a writer’s unique enthusiasm for the culinary crafts. For me, the beauty of cookbooks is the potential that they hold. Each page features a mouth-watering photo, a gorgeous lineup of ingredients and an engaging process of assembling them. Reading the recipe is almost as satisfying as consuming the actual dish. I love the possibilities and being able to flip through the pages and plan the perfect meal. That’s why people who know me know I love receiving cookbooks as gifts. I also enjoy giving them. 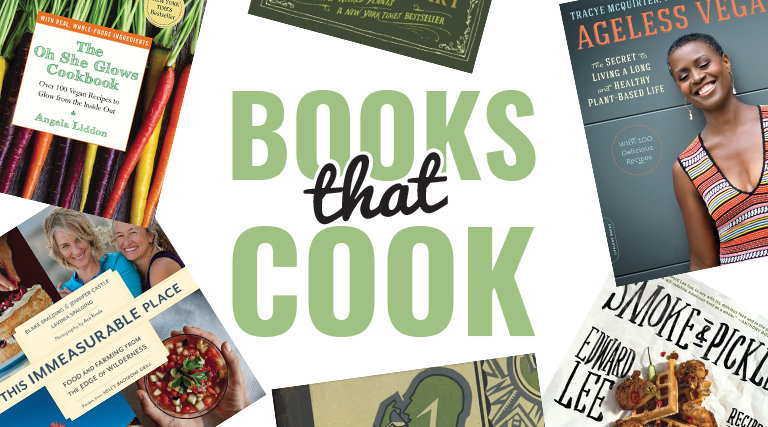 If you’re looking for cookbook ideas for foodies in your life, consider these new(ish) editions available at local bookstore. Utah’s own Hell’s Backbone Grill and Farm is an anomaly. The restaurant exists in the tiny, remote, mostly LDS, town of Boulder, Utah. It’s operated by Blake Spalding and Jennifer Castle—two chefs/co-owners whose love of Buddhist-based, farm-to-table cuisine and sense of stewardship to the surrounding wilderness have earned them two James Beard nominations. 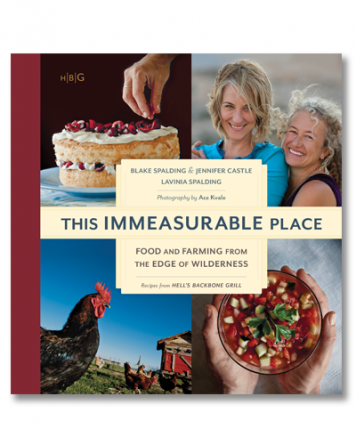 After the success of their first cookbook (With a Measure of Grace), Spalding and Castle wrote This Immeasurable Place as a love letter to healthy, sustainable cuisine and to the rugged and remote town of Boulder that makes it all possible. There are any number of French cookbooks out there, all claiming to be comprehensive and the only guide you’ll ever need. This book is hot off the press and the newest addition to that group. While you have other choices, take a chance on this cookbook. Chef Marianne Megnier-Moreno provides a hundred recipes, step-by-step color photographs and an illustrated glossary. 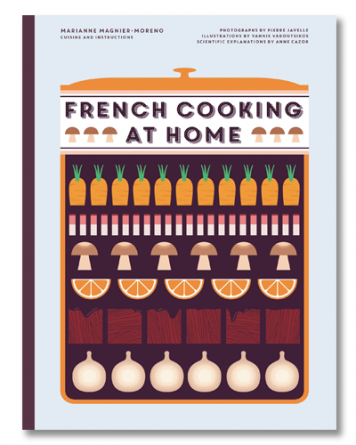 It might just be the book that finally simplifies French cooking and helps you master classic French cuisine. Edward Lee has a unique relationship with food. Raised by a Korean family in Brooklyn, N.Y., and now owner and chef of the renowned restaurant, 610 Magnolia, in Louisville, Ky., Lee’s menu honors historic Southern cuisine, enhanced by Asian flavors. 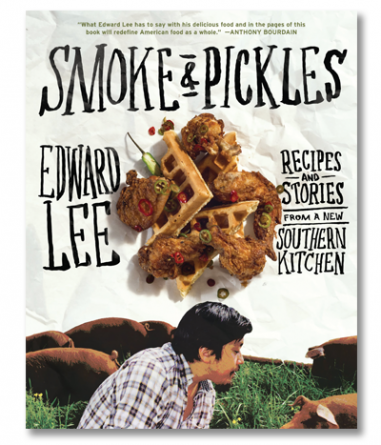 The recipes in his book highlight how Korean traditions of pickling, fermenting, frying, curing, and smoking can augment beloved soul food dishes of the South. Lee also vividly recounts his days in the New York and Kentucky restaurant world as well as his time competing on Top Chef, making this an enjoyable cover-to-cover read. 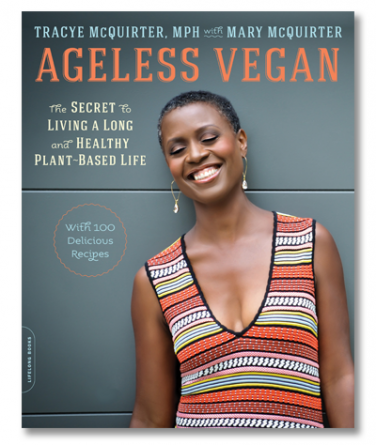 Angela Liddon doesn’t stop at 50 plant-based recipes or even 80. 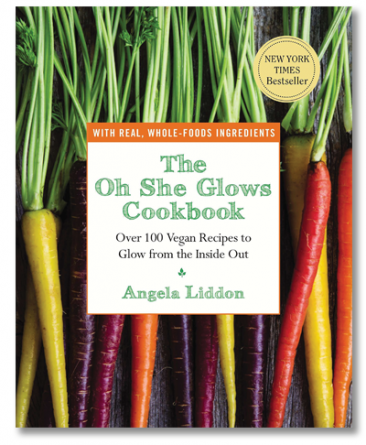 This book includes 100 recipes for every vegan dish you could ever crave. What’s even more impressive? Liddon taught herself everything she knows about cooking and photography. After a decade of struggling with an eating disorder, Liddon was driven to drastically change her diet, but more importantly, to feel better, to glow. Even the meat-eaters in your life might be convinced by this cookbook/work of art. Mother/daughter team Mary and Tracye share the secrets of their healthy lifestyle in this huge cookbook. With 100 plant-based recipes, they include information on vegan nutrition as well as how to build a vegan pantry and a 14-step guide on how to make the leap to veganism. Their recipes are based on fresh, everyday whole foods, illustrated with full-color photography. The plant origins of everyday spirits might seem like old news, but Amy Stewart’s take on the herbs, spices, flowers, trees, fruits and nuts that live on as our evening cocktail makes it all new and exciting again. 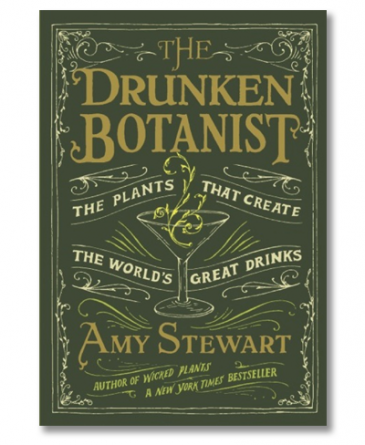 The anecdotes, sidebars and recipes with backstories in this smart, best-selling book can’t help but revive your enthusiasm as imbiber and as a gardener of booze-related horticulture. London’s Savoy Hotel opened in 1889 and its American Bar is legendary for its cocktails and atmosphere. If you’ve ever wanted to know the ins and outs of making and presenting a perfect cocktail, look no farther. 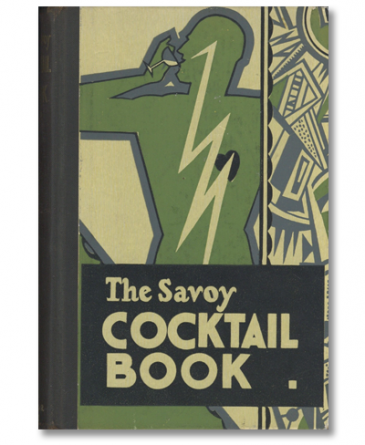 Written by an American who left for England during Prohibition, the 750 cocktails recipes in this book represent the height of sophistication in the 1930s and remain so to this day. Craddock knew that making a cocktail—whether a sling or fizz, julep or rickey—was an art, and he didn’t want that art to fade.